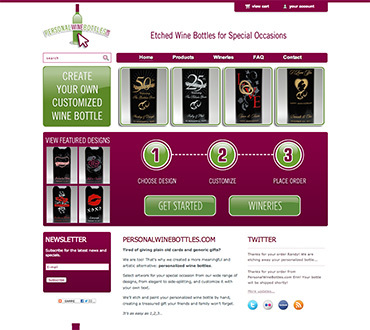 Personal Wine Bottles - IvyCat, Inc.
New website design for a previous client with a great business idea. E-commerce site with custom user input. Blogging and wine information as well as extensive FAQs.